Seven vehicles were stolen and a number vandalised during a raid on Westover Group’s Poole Peugeot facility. Police were called to the Wallisdown Road showroom shortly after 7.25am on Friday and found evidence of vandalism within the facility. 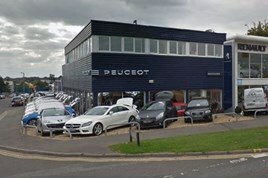 A statement issued by Dorset Police confirmed: “The location’s workshop - which services Westover’s Renault, Fiat, Peugeot, Hyundai and Dacia showrooms on Wallisdown Road has suffered some vandalism. “The police are currently present investigating the disturbance and assessing the extent of the damage. The force has yet to confirm the make and model of the vehicles stolen in the raid. Speaking to the Bournemouth Echo, Westover’s joint managing director, Paul Dillon, said staff were working to help police with their ongoing inquiries. He said: “We would like to offer sincere apologies to any customers affected by this temporary disruption.